From BBQ to burgers to soul food, Perth is in the midst of a love affair with comfort food. So it was only a matter of time until the fried chicken fever took hold. We’ve crunched our way all over this fine city and rounded up some of Perth’s best fried chicken contenders for you to sample. Dishing out some of Perth's best fried chicken, the crew behind Chimek live and breathe fried chicken—and they spice it to perfection. 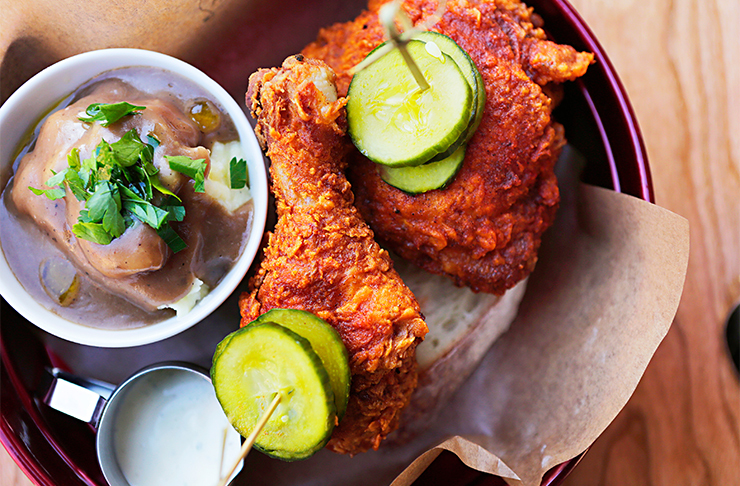 Try the Southern Fried Chicken and wash it down with a root beer float. Fried chicken from the culinary genius and former chef at The Old Crow and Cantina 663? Yes, please! You'll also want to get yourself a bloody mary while you're at Meat Candy. A piece of fried chicken the size of your head awaits you at Hot Star Fried Chicken. Their original chicken is one huge piece of poultry fried to perfection and sprinkled with spices. Not for the faint hearted. Korean spiced fried chicken is the next calorific snack to add to your bucket list. 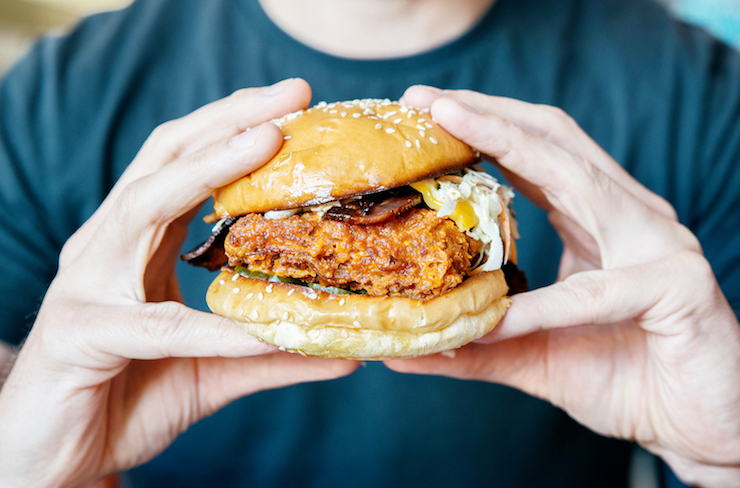 Gami Fried Chicken, the popular Melbourne chain, has made its way to Perth with its message of “chicken and beer” and is dishing out some of Perth's best fried chicken. We like what we’re hearing. Forget the Vegemite or Weetbix and tuck into some fried chicken and pancake goodness for breakfast. 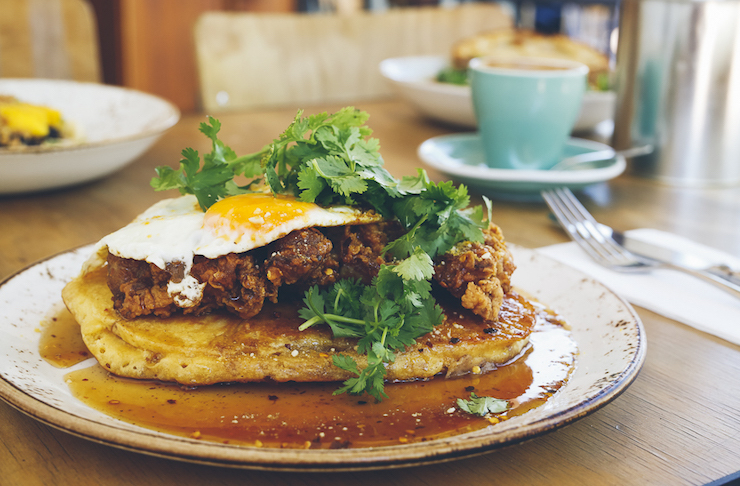 Get into Mary Street Bakery’s Fried Chicken Buttermilk Pancake with peanuts, maple chilli and a fried egg. Drool! Fried chicken = delicious. Burgers = delicious. The Spiced Bird burger at 3230 Smoke + Grill? Holy crap, that there’s some tasty chicken goodness. Start the day right, with May Street Larder’s Soul Sandwich—buttermilk fried chicken encased in a polenta waffle sandwich, avocado, smoked sour cream, chilli maple syrup and jalapeños. Fat girl likey. RoyAl's is famous for their buttermilk fried chicken, but don't miss the real dill chicken popcorn! These guys also do some epic chicken wings—the cajun crunchy wings are our top pick. For the brave and the gluttonous, the spicy Buffalo Chicken burger from Varsity Burgers is for you. Buffalo fried chicken breast, lettuce, tomato, celery and ranch. Oh dear god yes. The half and half fried chicken from Perth Korean joint Restaurant Gangnam is a thing of beauty. The perfect combination of their original recipe as well as sweet and spicy, these guys can do no wrong! 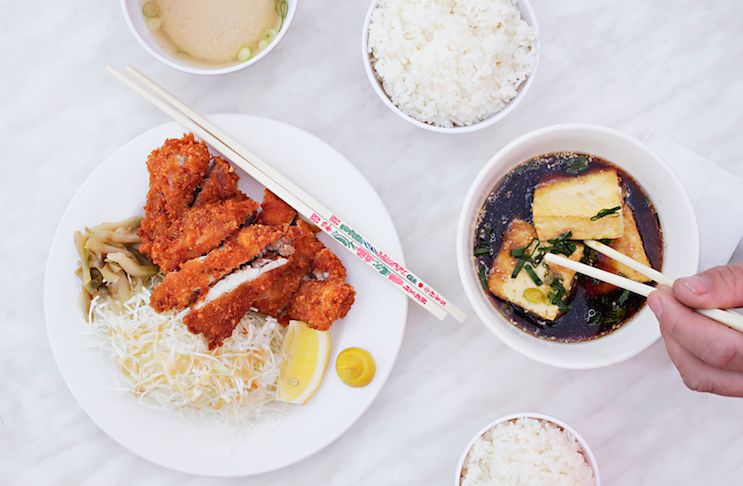 It’s no wonder so many Perthians love the cheap and cheerful Japanese fare at Taka’s Kitchen. Get your hands on a generous serving of their completely addictive Chicken Karrage. It's delicious fried chicken goodness! Love meat? Here's how to cook the perfect steak at home.